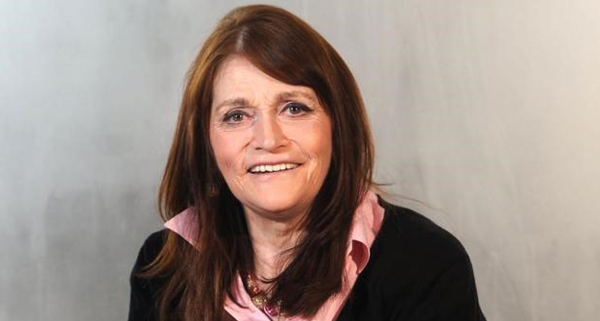 Margot Kidder was born Margaret Ruth Kidder on 17 October 1948 Yellowknife, Northwest Territories. Her parents, Jocelyn Mary worked as a history teacher and Kendall Kidder, a mining engineer and explosives expert. Margie, as she was called by her family, was a lovely girl and greatly aware of her emotions, she expressed herself with pride. She was an enthusiast about acting since her childhood, as she wrote in her diary that she wished to become a movie star. The acting bug caught her when she visited New York with her mother, leaving the confines of Northern Canada for the first time, and saw Bye Bye Birdie. She was quite taken with people singing and dancing on stage, and that was when she decided to become an actress. However, Margie’s path was not that simple as she was fated to deal with a turbulent psychological condition, which was later diagnosed as bipolar disorder. She experienced bizarre mood swings, during which she was unable to comprehend her actions. On one occasion, when she was 14, she tried to kill herself and then returned to her normal self the very next day. Her father’s occupation demanded a hectic schedule and constant moving around which did not help her condition. She spent time growing up in Labrador City, Newfoundland and Labrador and had to change 11 schools in 12 years. Her psychological condition worsened, and in an attempt to help her cope with her mental condition, she was admitted in a boarding school. There her life found stability and she managed to pursue her acting interests, taking part in a school plays, such as playing the lead in Romeo and Juliet. After her graduation, Margot Kidder moved to Los Angeles to pursue a career as an actress and turn her dreams into a reality. She found her life in Hollywood tough as she dealt with all the prejudice and competition. She managed to land two roles in films ‘Gaily, Gaily’ (1969) and in ‘Quackser Fortune Has a Cousin in the Bronx’ (1970). Some disagreements arose between her and the film’s director, after which she decided to move to New York and study acting, while working in petty roles on Television to pay her bills. After a while, she moved back to Hollywood and gave a second shot at becoming a successful actress. At a screen shot for a role she befriended Jennifer Salt and this encounter lead to a strong and long lasting friendship. The two ended up renting an apartment together, which soon became the local hangout place for all the young, aspiring and struggling film makers and actors, Martin Scorsese, Brian De Palma, Steven Spielberg and Susan Sarandon among others. Every night, these future Hollywood giants gathered around a fire at her house to enjoy, party and talked about how they are going to revolutionize the film industry. Life was good, and Margot Kidder got her big break when Brian De Palma, her boyfriend at that time, offered her a role in his upcoming film Sisters (1973). The film was a huge commercial success and it cemented Margot’s position as an actress in Hollywood. Her career took off and she appeared in a series of highly acclaimed roles in Black Christmas (1974), The Great Waldo Pepper (1975), 92 in the Shade (1975) and The Reincarnation of Peter Proud (1975). Margot took a three year break after her marriage to film director Thomas McGuane and spent her time housekeeping and looking after their daughter, Maggie. When her marriage with Thomas ended, she decided it was time to come back to acting. Upon her return to Hollywood, she was offered the most iconic role of her career, the role of Lois Lane in Superman which not only made her a huge star but also helped her secure more intense roles in critically acclaimed movies such as The Amityville Horror (1979), Willie & Phil (1980) and Superman IV: The Quest for Peace (1987). Her dream to become an actress was fulfilled but her psychological problems returned and in the April of 1996, her bipolar disease worsened and got entirely out of control when her computer was infected with a virus. This triggered her paranoia and gave her psychological problems full reign to disrupt her life. She became hysterical, blaming her first husband to attempting to murder her and went missing for three days to be found by police authorities in a ‘dirty’ and ‘frightened’ state. She battled against her psychological problems and learned to understand her condition, and now she is a proclaimed advocate for herbal treatments for psychological patients.